John Dickerson will replace Charlie Rose on "CBS This Morning," effective Wednesday, CBS News President David Rhodes announced Tuesday. "John's impressive track record and strong all-around journalism extends our commitment to real news coverage every morning at CBS News," Rhodes said in a statement. Dickerson's move was first reported by HuffPost on Tuesday morning. It caught some CBS staffers off-guard, partly because the morning show was live on the air at the time. But his years of experience as a political journalist make him a logical fit for the two-hour show. Dickerson has been the moderator of the Sunday morning public affairs program "Face the Nation" since 2015. CBS said Tuesday that "Dickerson will transition from the 'Face the Nation' anchor chair in the coming weeks as CBS News prepares to name his successor." Dickerson's move to the morning has been in the works for several weeks. Rose was fired by CBS and other employers in November after the Washington Post reported on a series of harassment allegations in Rose's past. Rose apologized "for my inappropriate behavior" and said "I am greatly embarrassed." Dickerson is one of several CBS hosts and reporters who essentially tried out for the morning job by filling in on the show. Tuesday happens to be the six-year anniversary of "CBS This Morning." Rose, Gayle King and Erica Hill were the co-hosts at launch. Hill was later replaced by Norah O'Donnell, and now Dickerson will replace Rose, making King the only original host. CBS has been mired in third place in the broadcast morning show wars for decades. But with "CBS This Morning," the network is in a better competitive position against "Today" and "GMA" than ever before. The question for CBS News executives is how to keep the show's momentum going. Will the addition of Dickerson cause new viewers to sample the show and help grow the overall audience? 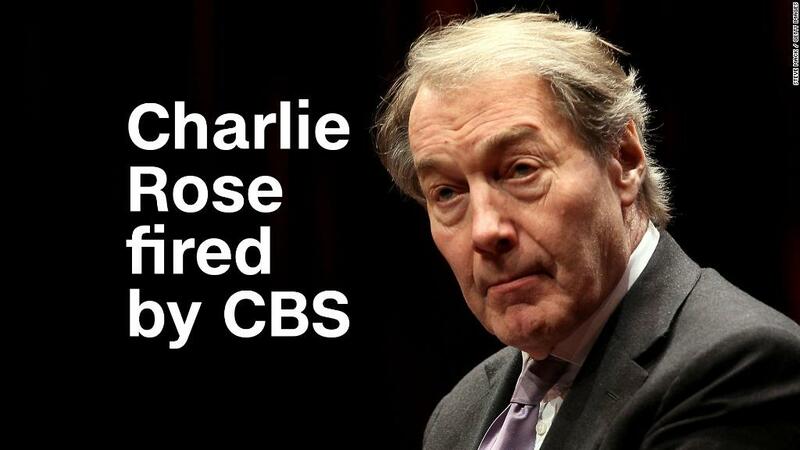 The move the latest in a series of on-air changes at CBS News. Last year Scott Pelley stepped down from the "CBS Evening News;" after an interim period led by Anthony Mason, Jeff Glor took over the newscast last month. NBC is also in a period of change. Last week its "Today" show named Hoda Kotb as co-host, formally replacing Matt Lauer, who was fired for what NBC called "inappropriate sexual behavior in the workplace."